Mukhi today visited Morigaon district and discussed with top district officials implementation of government schemes. 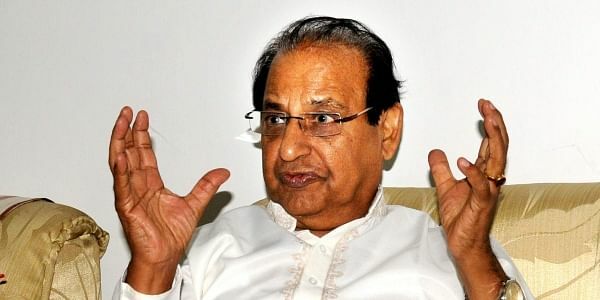 MORIGAON/NAGAON: Governor Jagdish Mukhi today allayed apprehensions among people in the state that some portion of Assam's territory will be included in Greater Nagalim with reference to the ongoing peace talks between the NSCN(I-M) and Central Government to resolve the Naga issue. At a press meet here, replying to a question about the formation of Greater Nagalim and fears of Assam territory being included there, the Governor said, "there should not be any apprehension. No land of Assam will be given to any state". Mukhi said he had launched interactive programmes with different sections of people of Assam to discuss the problems at the grass root level and he will go to all the districts of the state. He started the programme from Batradava -- the birth place of Mahapurush Srimanta Sankardev yesterday, he informed. Vising neighbouring Nagaon district, the Governor took part in Swachhata Abhiyan in Nagaon town and paid floral tributes to the statue of Mahatma Gandhi calling upon everybody to contribute to maintain a clean environment and exhibit a sense of responsibility for making the state clean and green. He also urged upon everybody to practice cleanliness in their thoughts and actions because clean thoughts germinate into clean actions and clean actions give rise to clean environment. Mukhi also appealed to all the inhabitants of Nagoan to consider swachhata campaign as a movement to achieve complete cleanliness in the district stressing on the need of cleanliness drives which is a wonderful opportunity for people’s participation that acts as a force multiplier to raise awareness on the importance of cleanliness in one’s life.